When will be Combat Ships next episode air date? Is Combat Ships renewed or cancelled? Where to countdown Combat Ships air dates? Is Combat Ships worth watching? Combat Ships is a series that shows how technology transformed naval warfare and tells the stories of the greatest maritime battles, escapes and disasters. From the deadly 18th century Ships of the Line, the primitive submarines of the American Civil War, the landing craft of the D-Day beaches, the fearless hospital ships of the First World War, to the might of nuclear warships - these vessels have shaped world history. Each episode includes powerful eye-witness accounts, interviews with veterans and maritime experts, reconstructions, intriguing technical data and fascinating historical detail. In the past two centuries of combat, ships and the brave men and women aboard them have played a major role in rescuing thousands of people--some injured, some in need of transport, and others fleeing for their lives. Board some of history's most remarkable rescue ships, from the USS Constellation, which hunted down illegal slave ships in 1860 to the most unlikely rescue ship of World War II, a tiny workboat called the Gerda III that saved hundreds of Danish Jews from Nazi terror. View stories of hospital ships and those who served on them, including the tragic story of the sinking of the Titanic's sister vessel, HMHS Britannic. Remember the sinking of the RMS Lancastria off the French port of St. Nazaire evacuating British nationals and troops from France two weeks after the Dunkirk evacuation, resulting in the largest single-ship loss of life in British maritime history with 3,000 to 5,800 fatalities. For centuries, small vessels have made immense contributions in times of war, thanks to the expertise, bravery, and sheer willpower of their designers and crews. See the remarkable stories of war's small ships and the major roles they played at Pearl Harbor, Dunkirk, and more. Witness David-and-Goliath stories involving the tiny combat vessels that took on massive battleships and deadly subs. From the short-lived but legendary 1776 gunboat USS Philadelphia built to stop a British invasion on Lake Champlain, to the British gunboat M33 at Gallipoli, to the remarkable story of the Japanese HA.-19 minisubmarine at Pearl Harbor, see how ships of war don't have to be large to make history. A 500-year journey aboard history's most famous, most sophisticated, and most heavily armed wooden warships. Voyage back to the age when wooden warships were the ultimate fighting machines. From the Mary Rose, one of the first great combat ships and Henry VIII's flagship, we learn about life on a Tudor ship from objects found during her salvage. While on HMS Victory, we learn the battle-winning tactics of Admiral Nelson, which tattered Napoleon's plans of invading Britain in 1805. Learn about the frigates HMS Trincomalee and USS Constitution and the British schooner Kathleen and May. Celebrate history's brave commanders and crews who rode these wooden wonders into battle. Witness how technological advancements in Europe and America led to longer, faster, and more heavily armed vessels. A look at the tactics employed to pass strategically important ships under the nose of the enemy, and the use of intelligence to carry out naval attacks. 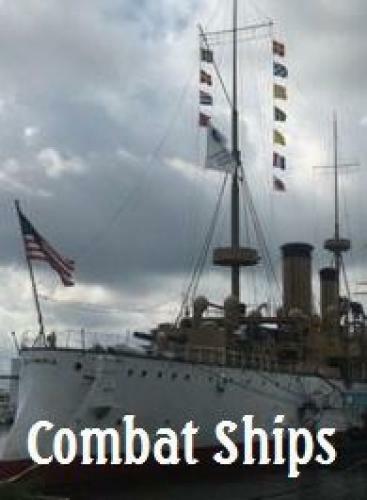 Combat Ships next episode air date provides TVMaze for you. EpisoDate.com is your TV show guide to Countdown Combat Ships Episode Air Dates and to stay in touch with Combat Ships next episode Air Date and your others favorite TV Shows. Add the shows you like to a "Watchlist" and let the site take it from there.